Using Beadalon, Accu-Flex or Soft Flex wire is a great way to make single strand or multi strand necklaces, bracelets and earrings. 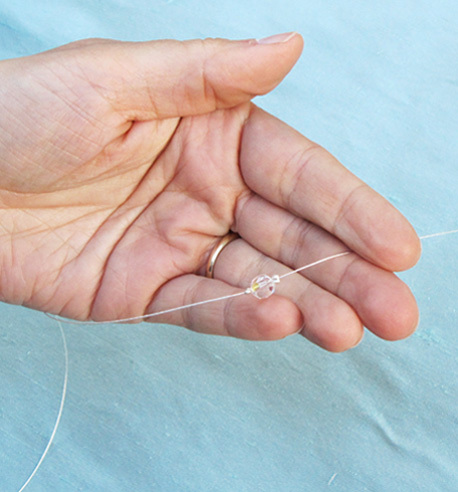 Many people refer to the single strand with intermittent beading as a floating necklace. Here we are using wire with crystals and bead crimps in a silver tone. All three wire brands are available in an array of different tones ranging from vintage browns to colored brights as well as bright silver and gold. 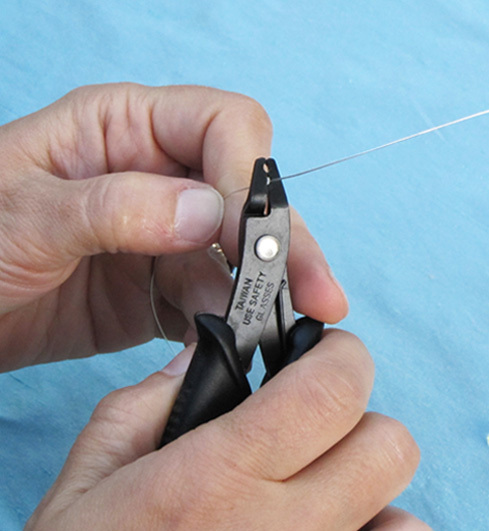 Feed your wire through an appropriately sized crimping bead. Here we are using .015 in (0.38mm) wire with crimping bead size 1. The crimping pliers are used in two steps. 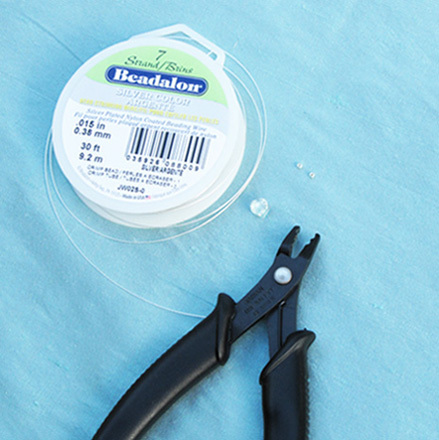 First, position the bead on the station closest to the handle of your pliers and squeeze firmly. Check to see that it is the crimp is flattened and shows a creased fold on the back side. This fold will allow you to compress the crimp to take hold on the wire. Then, returning to the same crimp bead, position the crimp bead at the first crimping station near the tip of your pliers with each end of the flattened crimp resting in the recessed areas of the the plier cavity. You will need to turn the flattened crimp the opposite direction of how it faces when you remove it from the first step in order to fold the crimp in half and compress it. 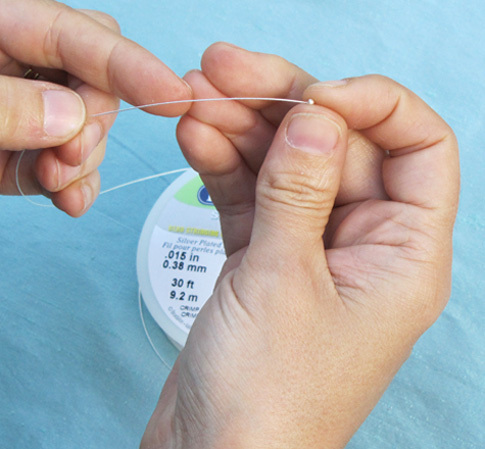 Squeeze firmly until the crimp folds in half at the folded line that you created in step one. 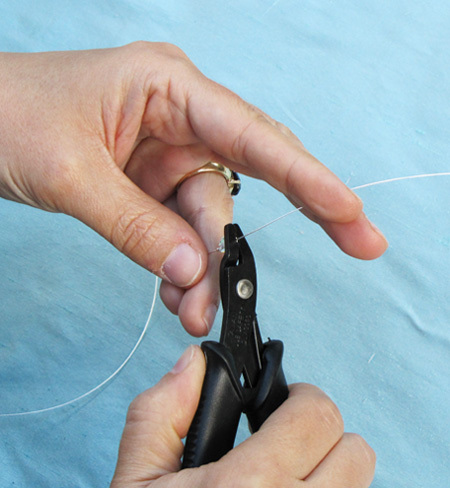 Your crimp should fold in half and compress into a small firm hold on your wire. Add your crystal or desired bead and another crimp bead. 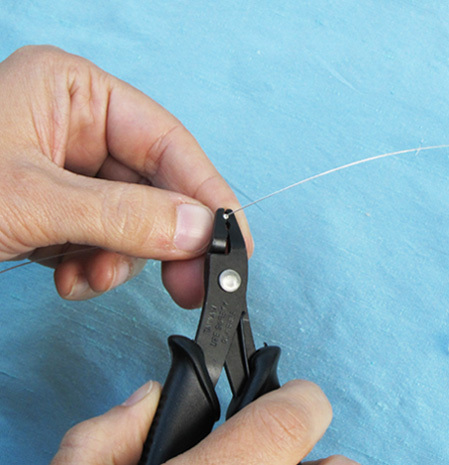 Use the crimping pliers in the same order as before. That's it! You can lay your design out on a bead board or simply eye your bead spacing. 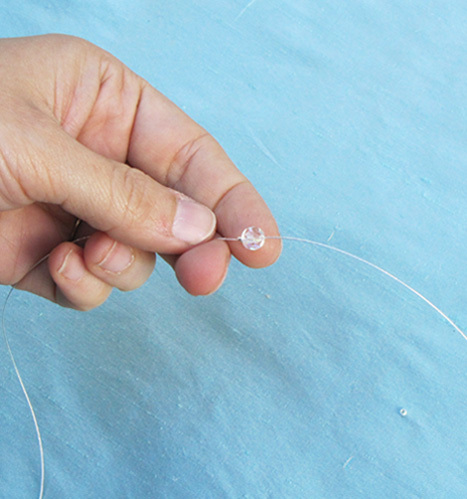 Tip: When filling a strand with multiple beads that are heavier, use a heavier gauge wire for extra strength.